Spraying the trees at Red Wing Orchards in Whitby. 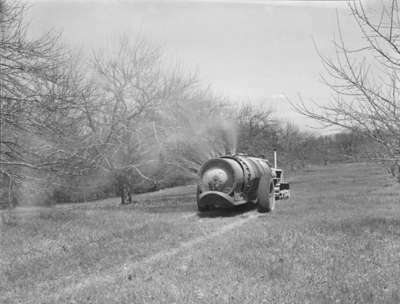 Sprayer at Red Wing Orchards, May 3, 1948, Marjorie Ruddy. Whitby Archives A2013_040_1188.